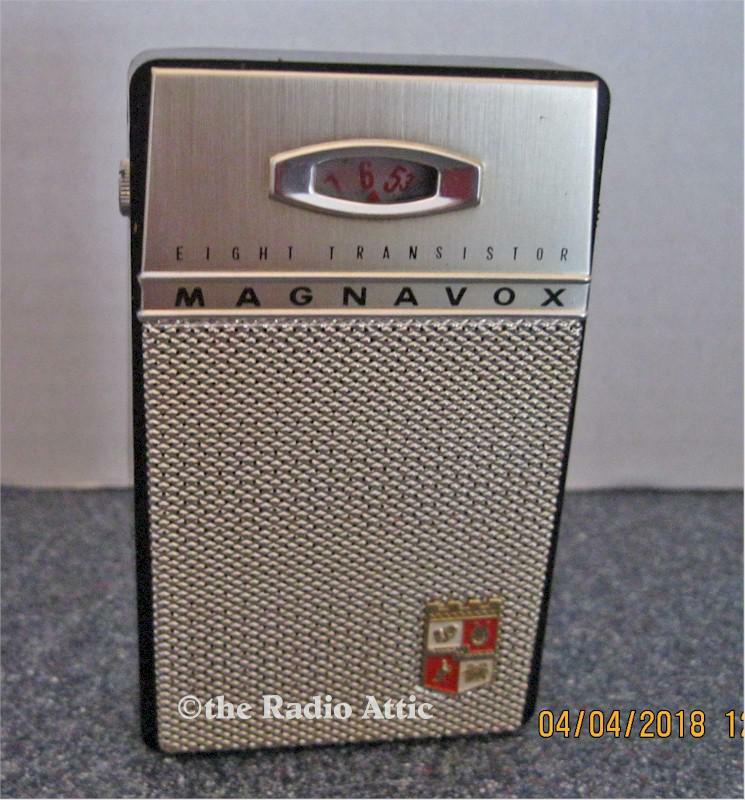 Here is a real nice, and in great shape Magnavox eight-transistor AM radio. This radio is real clean, and looks like it was never used; even the leather case is a 9.5. I restored this radio with brand new electrolytic caps, and retuned the circuits. I replaced the standard 9 Volt battery clip with a new heavy duty one. The radio is very clean inside, and out. There are no chips, dents, or cracks. The audio is clear, and goes to full volume. The radio requires a standard 9 Volt battery (not included). It comes with a nice clean leather case. Add $10 for domestic shipping. You are visitor number 912 to this page.